Are You a People-Pleaser? What Do You Feel Obliged To Do? AlamyObligers: "I can't go to sleep with dirty dishes in the sink, because someone might see." The Four Tendencies are part of what I discuss in Better Than Before, my book on habit change. A key piece of self-knowledge - which is crucial to habit change - is "What is your 'Tendency'?" That is: How do you respond to expectations? Your response to expectations may sound slightly obscure, but it turns out to be very, very important. I'm always trying to deepen my understanding of how they play out. So this week, I'm going to pose some questions. Yesterday, I focused on Rebels. Today's questions relate to the Obliger Tendency. Obligers, and Obliger-observers, I'm curious: what do you feel obliged to do? It seems to me that Obligers vary tremendously in their standards. They often describe themselves as "people-pleasers" but some do much more to please than others! Some Obligers seem to feel obliged to do all sorts of things - perhaps even things that no one is actually expecting from them. "I have to make a homemade dessert for the bake sale." "I can't go to sleep with dirty dishes in the sink, because someone might see." "I have to do the yard work myself." They may exhaust themselves meeting obligations for others - and feel burned out, and also resentful, because they don't meet their expectations for themselves. Other Obligers seem to feel obliged only to do things if they'll actually get in some kind of trouble if they don't. "I won't work on the report until my boss comes looking for it." 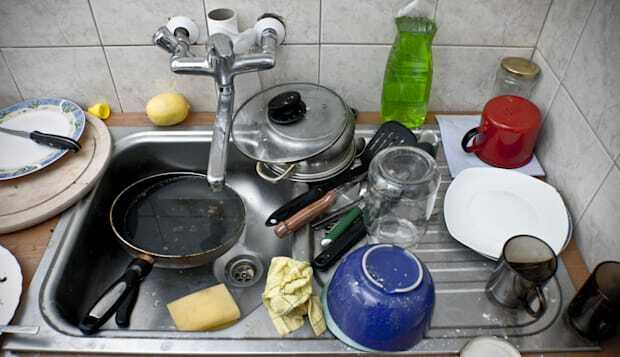 "I won't clean up the kitchen unless someone is coming over." Another variety: I have a friend who is an Obliger, and very ethical. She feels obligated to anything that she considers morally necessary. So she feels obliged to be on time, because that shows respect for others, which is morally worthy, but she feels no obligation to go to the gym. I said, "What about your duty to yourself?" (That's the Upholder perspective.) She just waved her hand and said, "Meh." Note: For Obligers to meet expectations for themselves, they need to create systems of external accountability. This is key! Essential! And makes an enormous difference. What do you think? Does this ring true? What spectrum of Obliger behavior have you noticed or experienced?